Evo & Grace: The WanderLusts: ALFA1, Transforming ordinary Men to confident Males. 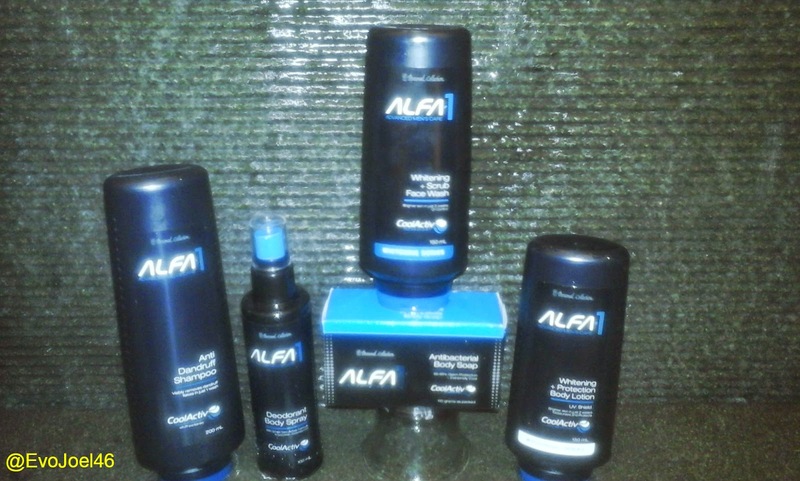 ALFA1, Transforming ordinary Men to confident Males. Personal Collection, one of Philippines biggest direct selling companies recently launched its newest line of product that caters for men. It’s called the ALFA-1 MEN’S CARE that includes Anti-Dandruff Shampoo, Whitening + Scrub Facial Wash, Antibacterial Body Soap, Whitening + Protection Body Lotion and Deodorant Body Spray. On a blogger’s Sparty/Launching last Feb 10, 2015 at Bluewater Day Spa in San Juan City, Personal Collection also introduce Actor Albie Casiño as the first endorser of Alfa1 Men’s Care. Albie has a heart-stopping good looks, hot physique, talent and amazing confidence that suits to be the newest face of Alfa1. Casiño on his talks, admit that he really like the Facial Wash so much due to its very cooling effect that will make you awake upon use, and of course the feeling of being clean with the help of its fresh scent. During our interview with Personal Collection resident Chemist Nelia Sta.Romana and Ron Marfori, we are inform that this line of care products was conceptualized way back 2012, it undergoes several trial and clinical test to ensure its effectivity to different kinds of male, and it’s just not a personal care products, it’s also a supplement for anti-ageing. “Other brands are banking on fragrance, others on Anti-Microbial property, and others on whitening, while ours is a combination of it all.” Sta.Romana said. Alfa1 will definitely love by all men, this is due to its unique fragrance that common to all its variants, some men now a days prefer to have one scent from shampoo to lotion, and this Alfa1 have that kind of one scent policy. ALFA1 Advance Men’s Care products are available through Personal Collection dealers, for those interested may also drop by at any Personal Collection branch, call their hotlines at (+63-376-6888 local 204) or in mobile via 0917-562-7332. You may visit their website at www.personalcollection.com.ph. Follow them on Facebook /pcdsi.official , twitter @pcdsiofficial and on Instagram @pcdsiofficial . 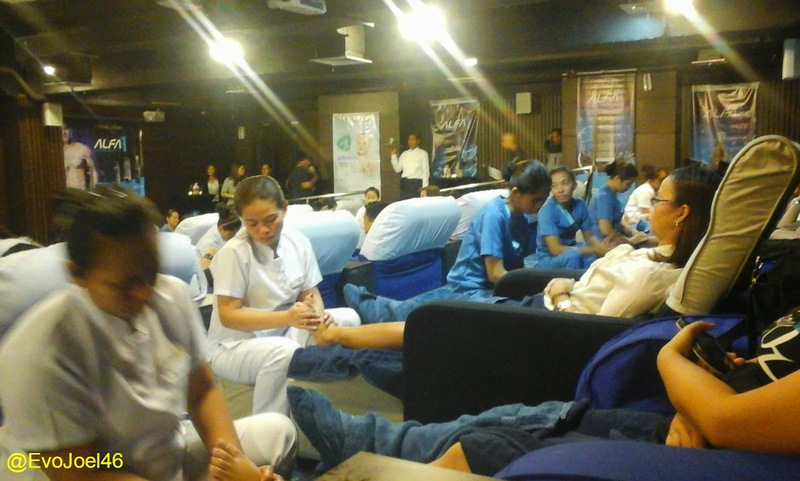 Free Foot Massage after the event.